Off plan properties is a relatively new concept to the UK, as opposed to other parts of the globe. The more traditional property hunts see people visiting a home before choosing whether or not to buy. However, more modern approaches are allowing property investors the opportunity to get ahead of their competitors and make a purchase whilst the property is still under construction. We have some amazing off plan properties for sale that are situated in both in the heart of London and its outer districts. The Property UK team work with only the most respected developers and construction companies, so you can rest assured knowing that you’re investing in a sound property. 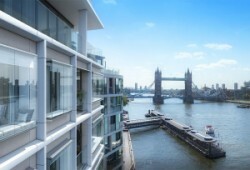 Take a look at some of our listings and feel free to get in touch if you’re interested in making one of the hottest new London developments your own! If you’re new to off plan development projects, we understand that you may have some concerns about buying a home that isn’t yet complete. However, with the right property in mind, you’re bound to make a solid financial investment for your future. It is common for off plan properties to be sold at a lower price than they would go for, once completed. As such, you are instantly giving yourself a potential profit for the future, by purchasing the property at a lower cost than it inevitably will be. 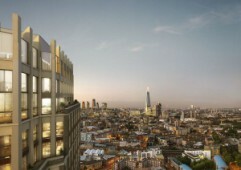 London property is very sought after, particularly those that are brand new. If you make the mark before others and manage to secure an off plan property, in some cases you may be able to sell your contract to others, for a higher price and before the property is completed! If you’re planning on moving into the property yourself, rather than adding it to the rental market, you will benefit from the additional time to prepare for your move. Not only that, but with extra time and the option to tailor your payment plan, you can have complete peace of mind in knowing that you can plan and organise your property purchase to meet your needs. When choosing whether or not to buy an off plan property, you may be swayed by the opportunity to customise the interiors for little to no additional costs. The option to make changes to the property’s design before it is completed can be cheaper than remodelling a pre-existing home. 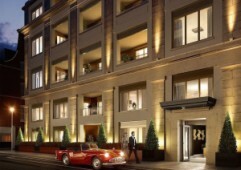 One of the most important post codes in the city, these Westminster apartments are as central as you can find and are just minutes away from River Thames and public transport for all your city commuting needs. 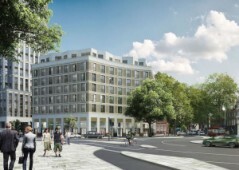 Do not miss out on this exceptional opportunity to invest in central real estate in Blackfriars Road in Southwark, within a few short minutes walking distance to all your local amenities including shops, cafes, underground stations, and more.